Now, don’t be taken back by the label “fool.” In scripture, the word “fool” is not meant it as an insult, but as a reference to someone who ought to know better or who is purposely imposing their own will despite knowing the truth. This quote is a prime example of such. Notice that I did not answer “according to his foolishness.” I did not allow the challenger’s assertion to be considered valid, giving it teeth, thus becoming “like him yourself.” Instead, I answered “according to his foolishness,” responding directly to the flaw in the premise, keeping the challenger from becoming “wise in his own eyes,” while also integrating in the truth of the Gospel. 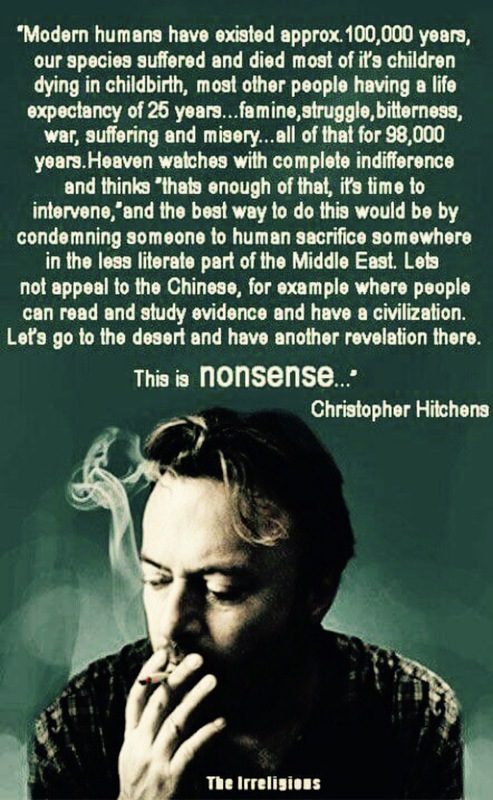 No surprise Hitchens would find the Gospel foolish. The natural mind cannot submit to the wisdom of God.